Available in Maple, Cherry, White and Black. This Quad Slatwall Display fits in any store or business. Constructed of 3/4 in. wood with a durable melamine laminate surface. Each side of the Quad Display measures 24 in.wide. Thick edge banding on slatwall grooved edges ensures your slatwall units will continue to look great for years. Add 10 in. 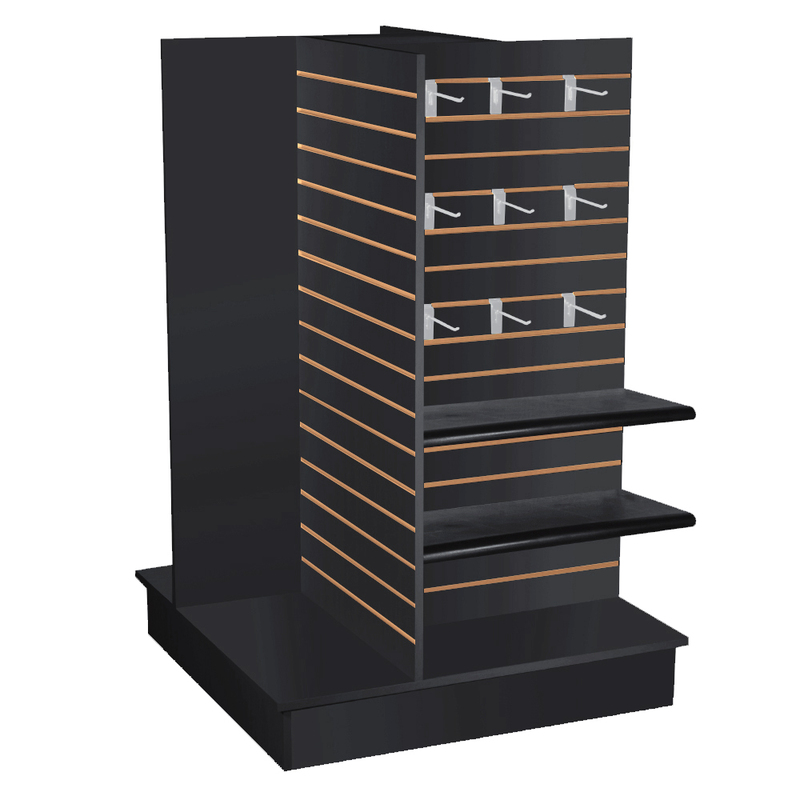 deep shelves with slatwall brackets and accessories which are sold separately. Optional caster kit available (#3521). Item ships unassembled to reduce shipping costs.